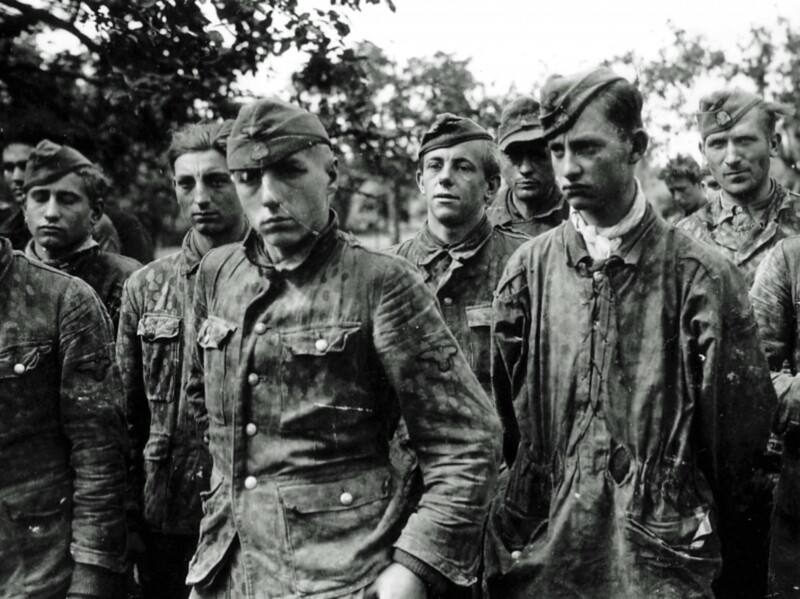 German prisoners of 12. SS-Panzer-Division “Hitlerjugend”, captured in Caen by the Allied army. The Western Front, France, 1944.